(1) We have added new Board Review questions, courtesy of BoardVitals, which are accessible via our CME page. (2) Our Feature Page for December highlights Grossing Equipment / Workstations and includes EXAKT Technologies, Inc., Leica Biosystems, Milestone Medical, MOPEC, Photodyne Technologies and Sakura Finetek USA. We also have a new Mystery Case on the right side of the Home Page. 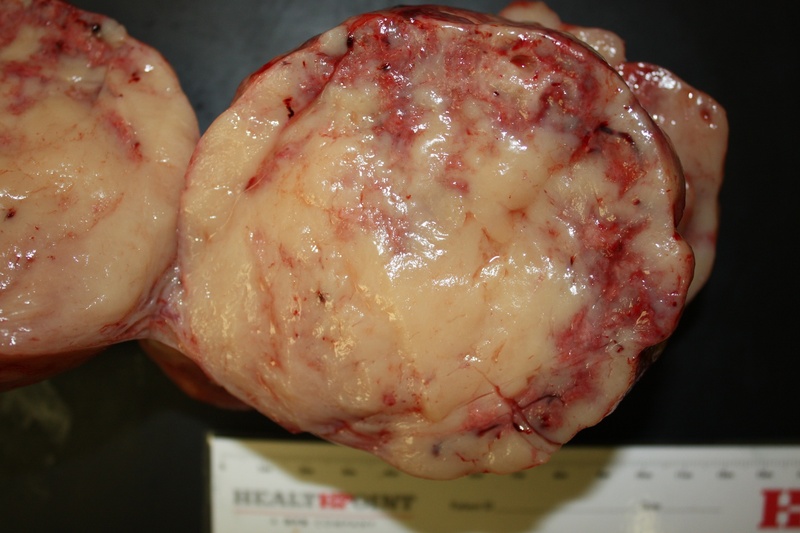 A 50 year old woman presented with an ovarian mass, which was excised. 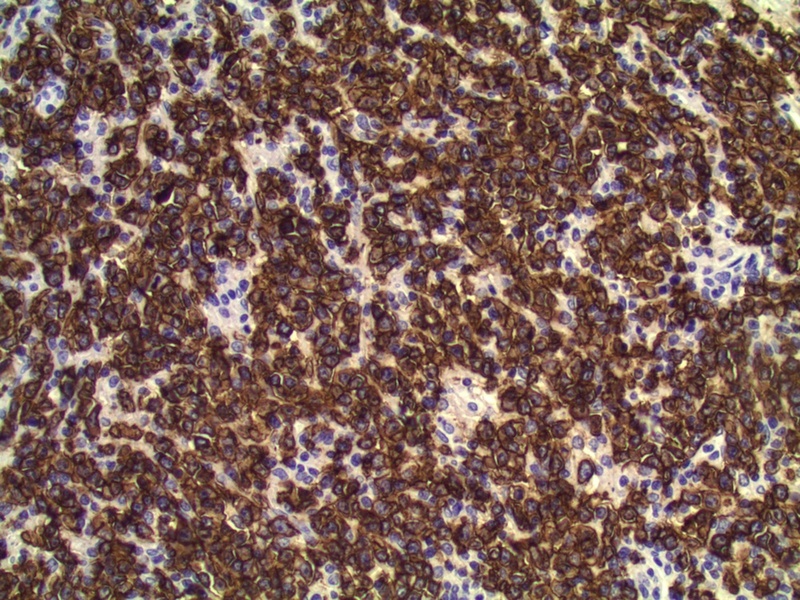 Primary ovarian lymphoma is rare (Am J Case Rep 2012;13:96). 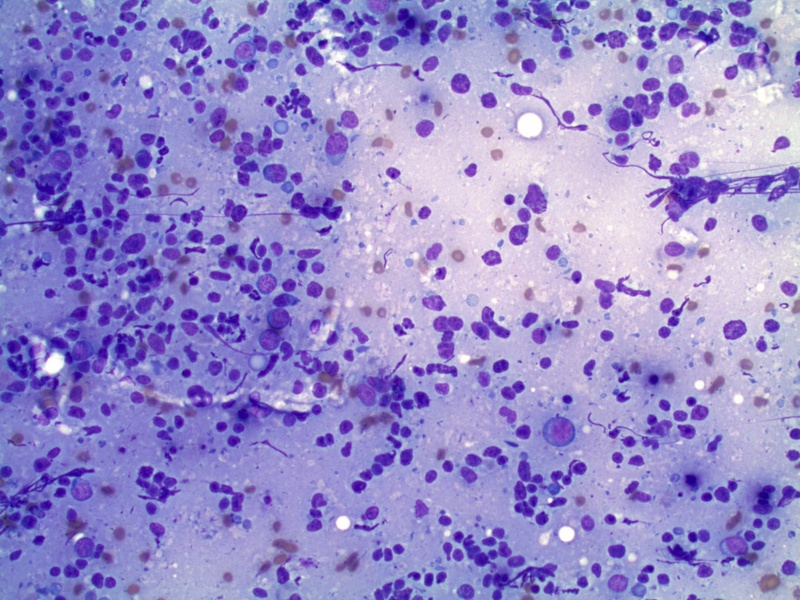 Most ovarian B cell lymphomas are diffuse large B cell lymphoma or follicular lymphoma (PathologyOutlines.com > Ovary Tumor > Lymphoma). 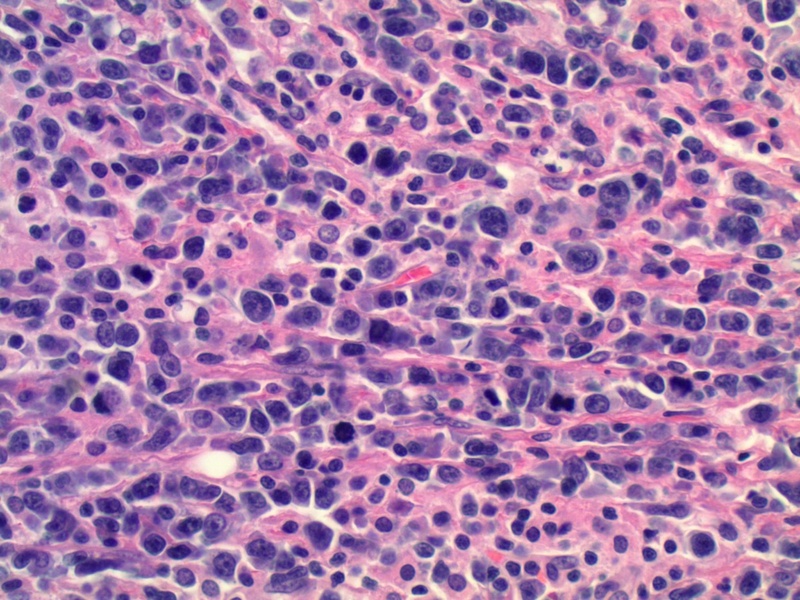 In the ovary, diffuse B large cell lymphoma may resemble a stromal tumor, due to cells resembling short fascicles that form interlacing bundles of spindle cells. 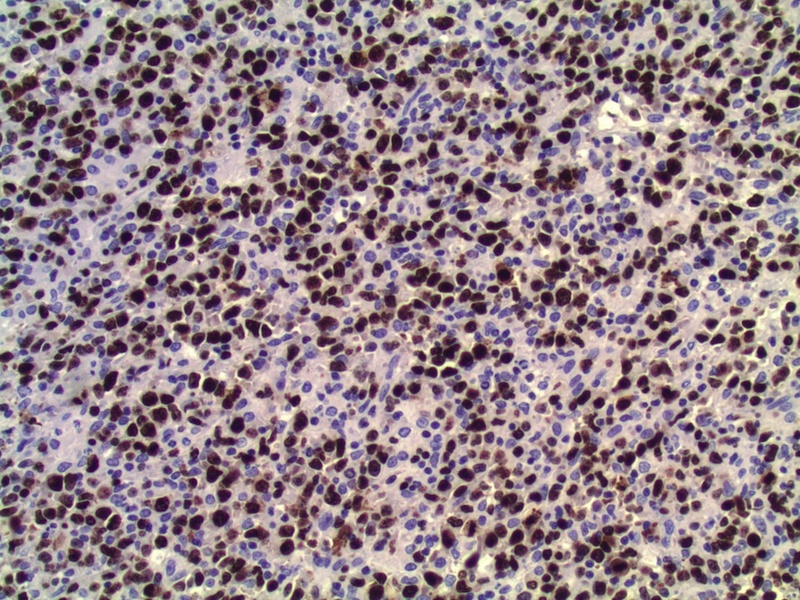 At all sites, diffuse large B cell lymphoma has a diffuse growth pattern of large CD20+ B cells (usually 5x normal lymphocytes) resembling immunoblasts (amphophilic cytoplasm, eccentric nuclei with one central nucleoli) or centroblasts (pale or basophilic cytoplasm, vesicular chromatin due to chromatin margination, 2-3 nucleoli, often near membrane). 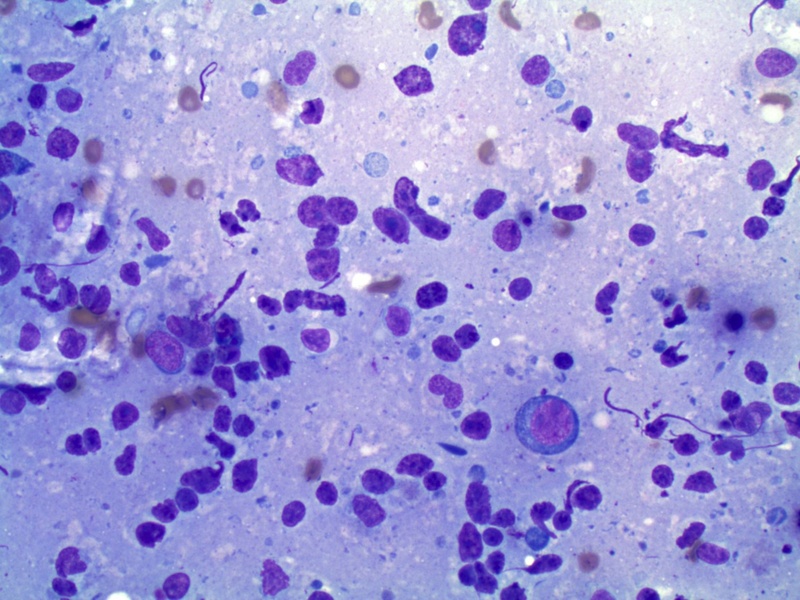 Occasionally neutrophils, histocytes or infiltrating T cells are prominent (PathologyOutlines.com > Lymphoma > Diffuse large B cell NOS). 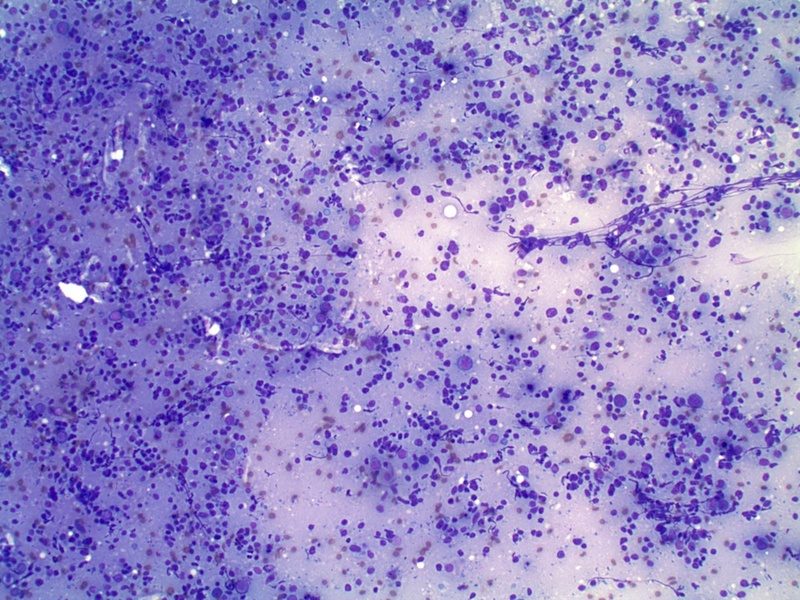 Touch preps show scattered large atypical cells in a background of small mature lymphocytes. 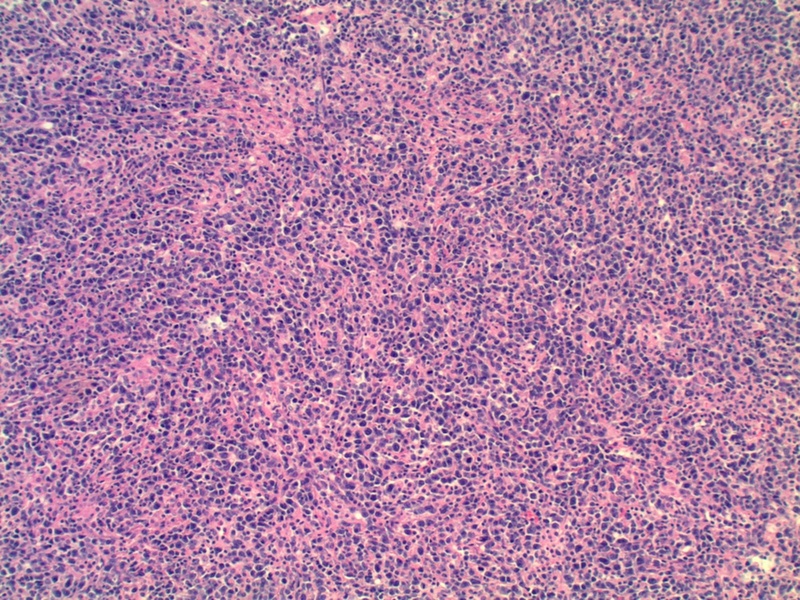 "Double hit" lymphoma has features intermediate between Burkitt lymphoma (with marked proliferative activity and a "starry sky" appearance) and diffuse large B cell lymphoma, including rearrangements of MYC, bcl6 and bcl2. In this case, molecular testing for these rearrangements were negative. Treatment for low stage, primary ovarian disease is typically surgical and chemotherapy, with a good prognosis.